The labor market is often used to describe the relationship between available employment and people working or is available to work. A labor market is said to be in healthy condition if there is enough work available for all those people who seek it. Most countries in the world as of now are facing a difficulty in achieving or maintaining a healthy labor market condition due to many a few reasons. In Ireland as in many other countries the labor market condition has changed a lot in last few years. Up to 2007 the labor market of Ireland was one of the healthiest labor markets of the world, from 2007 to 2013 due to global slow down the economy of Ireland was under enormous stress which forced a large number of people looking for a work, but little work was available. The economy of Ireland showed a sign of recovery at the end of 2013 and hence a boost in the market. This reversed the employment trends of the previous years and the labor market once again showed some signs of coming to healthy condition. As of now many workers are up skilled while unemployed in order to adapt to new types of jobs available. The Irish students have always shown that they are good at Mathematics and Science, in fact in a recent survey of all OECD countries Ireland did fairly well in almost all the sector especially in Mathematics, Science and Language. Now the big challenge for the country is to maintain the same healthy labor market for upcoming years. The way job is searched has come a long way away from where it has started, there was a time when an employer used to search for an employee (that was when the jobs available was more than the job seekers), but even that wasn’t a healthy labor market. But now the job seekers are more than the number of open jobs and hence now the employees have to search for employer. And that is where online job portals have come into play, to stabilize a relationship between job seekers and job providers. Internet has become an essential part of our life which allows us to communicate with virtually no barriers, it lets us purchase from home, and provide the most important information to the job seekers. In fact, online job search has become an important way of job finding. 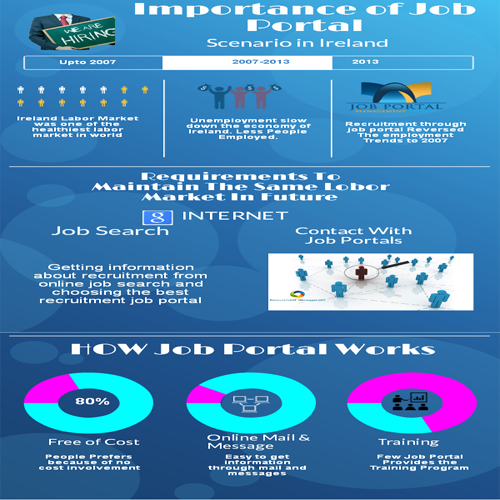 The online job portals like Principle don’t only provide a chance for un-employed skilled workers but also provide a better job option for those who are already employed. Most of these sites are free and hence there is no cost involvement at the first place. They personalize the job for all the job seekers and hence it’s easy for the users to get informed about the filtered jobs through E-mail or messages. There are job portals which allows the user to decide whom to show and who not to show his/her Resume. A very important issue is that these portals provide a solution for the job seekers and job providers from starting to the end point i.e., from the time you join them to the time you get the joining letter. Much to the relief of job seekers, a few of these job portals are in fact providing a training session as well so that it would be easy for the job seekers to get through in the interview. The on line sites like Principle help to facilitate job search and they let the employee and employer carry out the negotiation in an agile and fast way. This is a great service that tries to encourage and improve job search among the population and let them choose the best for them. A country like Ireland where the number of job seekers are increasing day by day it seems that this service is going to be needed by many a few so that the equilibrium in the work offered and work seekers can be smoothly maintained, that is the only way to continue healthy labor market in the country. The job sites are allowing both the employees and employers to choose the best for them, employees get a good employer and employers get a set of skilled and well trained work power for there need. Laptops cannot function without rechargeable batteries. In fact they are created to be powered by storage batteries or accumulators which are a type of electrical batteries. Although a laptop battery is rechargeable, it does have a limited life span. A typical battery usually lasts for about 500-700 charges before it will no longer be capable of recharging, and a replacement is necessary. The amount of charges can vary depending on the main use of your laptop. Some functions require more energy than others. Using functions such as a DVD player or using the brightest screen setting can drain the battery quicker, thus requiring it to be charged sooner. The more often you charge your battery, the sooner the battery will be drained of its life span. However, the life of a Dell laptop accessories like batteries can be slightly increased by taking care and following some basic but very effective tips and steps. And if it is a Dell Studio 1737 or Dell Inspiron 1525, start using it on a hard surface; you will see the instant difference. Unfortunately laptop batteries, regardless of which make they are, usually stop functioning at some point and need to be replaced. Certain signs will tell you that you need to replace your battery. Always keep your laptop battery clean. Dell studio 1737 battery needs special care. It needs to be kept clean on a regular basis with a clean cloth. This ensures the transfer of voltage from your battery much more efficient and safer. You should also see to it that your laptop battery is not left charging for a long period. Once it is charged, you need to at least use your battery once in a few weeks. You should also not allow your battery to discharge completely. Completely discharging method is for older devices because of their memory effects. Laptop batteries last long in cool temperatures. Hence, keep your laptop’s temperature down. You should clean out your laptop and air exits with a keyboard cleaner. You should also see to it that your laptop’s power options are properly optimized in order to use battery power more efficiently. You should judiciously use your different applications in your laptop. As all the applications do not use same amount of power, you should use applications which need less power to run them. Hence, rather than keeping your applications run in the background while listening to some music and checking the news, focus on one thing only. As a matter of fact, basic applications like MS word and e-mail services consume very less power than playing a game or watching a move. Accordingly, you need to prioritize your requirements. Hence, when you are into gaming; lower the graphics. There also many ways to do this, either by changing laptop’s screen resolution or changing your game settings. Another important way to increase your Dell laptop battery’s longevity is by paying attention to auto-save features whether you play a game or use basic applications like word, auto-save consumes power. Some basic operating applications like MS Excel’s and Word’s auto-save features are though great in use for saving your projects, will not only consume more power continuously but also make your hard drive work harder than it needs to. On the other hand, when you turn auto-save off; your battery life will be increased a little more and enable you to save your work. Hence, for best results; choose the right battery. Under the same use conditions, a lower capacity battery will wear out faster than a higher capacity battery because it has to be charged more often. However, all batteries wear with use and time. When you find the runtime is no longer satisfactory, it may be time to purchase a new Dell laptop battery. A smart business always keeps itself abreast of all the latest technologies and trends. When we live in this age of World Wide Web and networking, we should certainly stay up to date with social media trends. Today, social media offers businesses vast opportunities to grow. Its various tools can conveniently be used to inform existing customers, create a new customer base and connect with those new ones. Accordingly, it is easy to cultivate customer loyalty, raise awareness about products and services and reach new customers and markets. 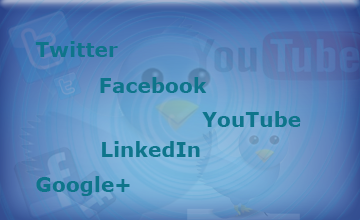 And we know social media tools are generally available to the public at little or no cost. As a business, we need to remember that we cannot grow without these social media tools. However, we need to determine the best social media tools for entrepreneurs and our success will depend on how well we use them in specific situations. It is easy to understand how social media from networking and microblogging websites like Facebook, Twitter, and LinkedIn etc to video and photo sharing platforms like YouTube which are technological tools, enable users to communicate and share easily with one another on the internet. Billions of people connect to various networking sites and platforms on daily basis. When we have a strong presence on these social media platforms like Facebook, Twitter, LinkedIn or YouTube, our business can be an excellent part of these conversations and have the access to the powerful world of social media marketing. To be specific, a small business can support its online marketing activities by simply creating a Facebook or Twitter business page and start working on it. Once you create your page and begin to build a following, you can use it to promote your business in a systematic and regular basis. Since, these social media tools are not the same like traditional forms of online marketing such as email campaigns, we need to use those numerous ways to grow our business; both sales and customer base. It is said that first impression lasts long. In this age of social media, etiquette and manners mean more to people than the content. As such, if you are on Facebook, a custom welcome page or tab is a great way to introduce your page and your brand to your fans to grab their attention. You should craft and enlace it in such a way to encourage them to like your page, click through to your website and share your page to get viral. However, when your fans get into your website in search of something interesting and useful to them, let them find it clean, precise and professional. Hence, while writing, drafting and designing your social media content, you should try to make it brief and concise unlike your traditional business web page. You know that some microblogging sites like Twitter allow you to type only 140 characters per post. Of course, it is in pursuant to the popular trend; users prefer to listen in small inflections. Hence; you should schedule your posts over a period of time focusing on one key message per post. Junk stinks soon. Therefore, you should promptly and regularly replace old posts with a continuous stream of new and unique contents. This is a sure way of overwhelming your Facebook and Twitter followers who can see hundreds of updates everyday from every count. Stay well ahead of others by posting timely and eye-catching contents. If need be; use images and videos but judiciously whenever require, but be sure to post frequently and often. Fresh memory goads one to your website again and again, till he buys your product or uses your service. You should also remember that a satisfied customer is always a loyal customer. A loyal customer gets more viral in social media and more likes letting you glean more and more sales and profits. It is wise to keep your content interactive and responsive giving more opportunities to your customers to participate in the conversation through various posts, blogs and comments. It is the surest way to keep them engaged and motivated about your business and its products. As long as you have a clear vision and a sound strategy, you can naturally grow your business with social media. Computing devices have become commonplace requirements for almost all. These days everyone is in need of one – be it the home maker, salesman, a corner store, or a student. You book your travels over the internet, you make your utility bill payments, you order furniture, you buy footwear, watches, books, clothing, you report problems of various kinds to various authorities. So much so that, even the mobile phone also has been made capable of limited computing. What was conspicuous only at work once upon a time has gone into the homes and later into the hands of each individual of the home. All the services that we thought could be performed between certain hours on weekdays alone has been replaced by 24×7 model. Even though the people work 8 hours 5 days, the technology, the machine resources remain operational all the time. It is not surprising that you would find quite a few numbers of gadgets in one single household. Laptop is one equipment that gives you the power of remaining in control. As against desktops, laptops give you the freedom of mobility. When mobile, you may not have a power source. The onboard battery powers your laptop and the hindrance of power vanishes in the thin air. Laptops are smaller than a desktop and with the advent of technology; it is becoming thinner and lighter. What factors do you consider when you are in need of a new laptop? Well let’s find out. Who is the laptop supposed to be used by mostly? Is it the bread earner, is it the homemaker, a student, or being used for entertainment / games? Depending on that you would need to decide the kind of processor your laptop would work best with. The more of tasks you intend to be doing at the same time or the kind of applications your work would need – decides the capability of RAM and processor. Similar question like 32-bit or 64 bit, might stare you in your face. Well the applications make the difference. Word processing and spreadsheet may not demand great processing capabilities but games certainly would; there are complex and heavy applications that run on a 64 bit processor and if your profession demands that, you ought to go for that. Otherwise you will not be satisfied with the sluggish performance of your laptop. Games would need you to order a suitable graphic card, headphones etc. While at work, you need not bother about the lack of electric power. However, when on the go, you are compelled to rely on the captive power sitting inside your laptop – the battery. In earlier days the shape of the adapter used to be bulky and weight of the battery used to be greater. The material used for the cables tended to get frayed, if not taken due care of. Fraying of cables would affect the capability of the power supplied by the battery. Researching the options is the best way to choose what works best for you. Dell adaptors are technologically advanced and among the best. The latest ones are more efficient, more durable and also compact. The hard drive’s storage capacity depends on the users work pattern. Would the user be a light user? Would the user need to install large and intricate applications? Would you pile it up with games and / or movies? At the time of writing this article, the prices of higher capacity drives are quite less; moreover due to constantly evolving technology, it is always prudent to go for the standards available in the market at the time. The options need consideration when you need higher storage. The number of USB ports should be 2, more the better. There are accessories of varying utility being launched in the market by hordes. The ports should in no circumstances be older than 2.0. The cooling capability is yet another feature. Older technology and heavy usage would stagger the performance of the laptop gradually; cooling pads come to the aid of such sufferers. With Dell accessories you get lifetime warranty and thus peace of mind. Dell is constantly innovating and laptop accessories are produced with great care and are compatible with all Dell products. The warranty ensures the Batteries, adaptors, docking stations, webcams, speakers work to the entire satisfaction, without any troubles. The other day I was listening to an interesting conversation from social media experts about its impact on business. Everyone without any exception accorded emphasis on the point that when social media has already become part and parcel of everyday life and there is no escaping the fact, our main concern should be to find out where this ever pervading wonder kit fit into our business plan and why we should make a suitable room for it if it has not yet been there at the top of our agenda. At this juncture, if any business or company postpones or delays needlessly to embark on a social media campaign, they can do so at their own peril. To provide justification, records and statistics of various studies and surveys clearly indicate that there is already a huge internet buzz about maddening growth of online viral marketing, and social media has assumed a significant position in facilitating interaction and communication between the consumers and business. Big or small businesses, who have accepted social media as a worthwhile addition to their marketing program, are reaping a good harvest and each one of them are able to expand their empires to the ends of the earth as social media fails none. Hence, better late than never! So don’t be left behind. Learn and master the language skills and communication traits of social media in order to conquer the world of business and commerce. Conclusively, the fact is that today your business cannot survive without social media. It is seen people flock to survive and connect as if a tongue and groove joint to achieve security for their prosperity and peace. Social media sites like Facebook, Twitter, and LinkedIn etc are the natural places for them to hurry-scurry around. Records keep tumbling every now and then; obviously these are the places people hang out today. Hence, as a smart business, there is no time for second thoughts about the power and reach of social media, you need to make haste where people are hanging out and market your products and services to them. There is little qualm that old and traditional marketing mediums have become things of the past effortlessly since long where news of today becomes things of the past in every moment on Facebook and Twitter. We are social at the same time having individualistic feelings; we talk and interact with real people before taking any decision as we love to impress and only then get assimilated. Accordingly, social media uses carefully crafted techniques knowing it very well that liberty mean everything for people. Now you can lead or drive people to a specific goal but you cannot force them; generic messages have lost their appeal. Social media sites are the best places to raise awareness, build tribes and credibility for your business. Through good social media management, it is possible to increase your visibility and conversions very easily. Now the main focus for SEO companies is not to get more traffic for your website but to get more fans, friends and followers who are interested in what you are saying and offering. They are turning to social media for their operation by managing your social media profiles to maximize your brand exposure. Accordingly, many businesses form a plan on buying Facebook fans or buying Twitter followers to boost their online business activities. It is an excellent option to see a significant growth in your business in a short period of time. In this regard, you need to remember that you are not the only one but there are giant as well as small businesses all moving towards social media in order for them to not be left behind. More and more businesses are realizing the power of Facebook, Twitter, and LinkedIn etc when it comes to marketing and making money. And the fastest and safest way to do so is to add targeted audience to your fans page by buying Facebook fans and Twitter followers from reputable business that offer this type service. However, it is a proven fact that business minus social media can be suicidal. Dell is one of the most reliable, reputable and renowned brands of desktop PCs and laptops. It has operations, sales and support network spread around the globe. It employs the latest and advanced technologies to produce its superior quality computing equipment for the individual. Dell laptops (desktops as well) come in standard configuration. In other words the pricing policy is such that what we pay accounts for the basic computing equipment, such as the laptop and the adaptor (or charging cable). In the case of desktops, for instance, the price includes monitor, cables, CPU box, keyboard, mouse and the operating system. Rest all the things that you need for operating your new laptop on a day to day basis are available separately. So if were to set your heart on buying a Dell laptop, it is imperative that you compare your budget not to the advertised price but include the accessories in order to do an effective comparison. So what are the accessories that we need to consider as basic and essential and distinguish these with the luxury ones? Well the additional software components are the ones that one could start with. Some would be able to manage with open source applications, but if you were to insist upon Microsoft tools such as MS Word, MS Outlook, MS Powerpoint, MS Access, MS Excel and the like, then the suite would be listed on its sales catalogues along with the version and compatibility with the version of the operating system you have chosen. Now some people when working with their laptops on their desks cannot work with its trackpad, they miss the mouse. You can order the mouse separately. Likewise so that you can lug your laptop in style, you may want to buy a sturdy, rugged and trendy laptop bag. At work or at home, for convenience, you might want the external and large size keyboard to avoid cramping your hands on the built in keyboard. Mouse and keyboards these days have become wireless, if you were keen on having one of these or perhaps both. You also have the luxury to change the lid every day or alternate days. This way you can save the same lid from collecting all the dirty scratches and at the same time make them appear new. Similarly you can see if you need set of external speakers or the headphones. Batteries are an inseparable part of a laptop. However it too has a life and is available in the stores if you happen to find that it needed a replacement. When accessorizing your Dell laptop, it always advisable to pair it with matching products. The accessories are produced to provide topmost quality outcome that would make you proud and satisfied rather than using a non-standard and or a local product on your Dell laptop. A printer is another accessory that serves a lot. It is a common equipment that goes well with laptop as well as desktop. It not only serves you and your laptop, but the entire family. The printer is a centre of services with scanning, photocopying, facsimile and printing – all features loaded into one single equipment. Only thing, it is not portable, like your laptop. When one begins running short of storage space, she or he can go for hard disk upgrade. For back up and data mobility purposes, one can think of buying an external hard drive of high capacity. Dell laptop accessories can be best bought from many online sources. But be careful in selecting the best. Don’t go for low price only. There are many online sources selling Dell accessories where you can get the best option; both quality & cost wise.